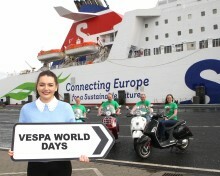 ​During the month-long, fleet-wide donation campaign, Round Up for Charity, Stena Line and its customers raised an impressive £17,788 for the charity organisation Mercy Ships. The funds will enable Mercy Ship to help 133 people to get their sight back on board the hospital ship Africa Mercy. 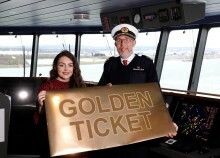 ​LEADING ferry company Stena Line is celebrating after winning the Best Ferry Company award for a record-breaking 26th time at the annual Northern Ireland Travel and Tourism Awards. 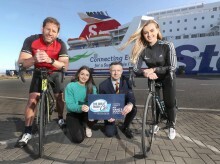 Sail, stay and save with Stena Line! 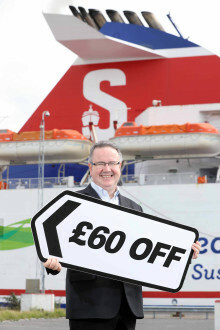 ​SEPTEMBER is here already, but don’t worry if you haven’t found the time to book a summer break or short trip away as leading ferry company Stena Line is offering a saving of £60 when customers book both their ferry and hotel accommodation together, plus don’t forget that kids travel free! ​Hannon Coach looks to grow coach market following success of Belfast service THE success of a new direct luxury coach service between Belfast and Glasgow has encouraged operator Hannon Coachto expand the service to include other towns across Northern Ireland. 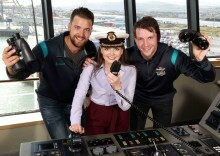 ​STENA LINE is inviting people from all over Northern Ireland to experience a day out like no other with the launch of its Superfast Day Cruises. ​Irish singing Sensation Nathan Carter surprised patients and staff recently at Craigavon Area Hospital as he officially launched the inaugural Shamrock Solstice Festival, sponsored by Stena Line. Nathan will headline the festival to be held in Shamrock Park, Portadown on Saturday 23 June. ​FOUR-LEGGED friends are an integral part of many families and though some pet owners may stress about what to do with their beloved pooch when they go on holiday, leading ferry company Stena Line has the perfect solution, pets go free! 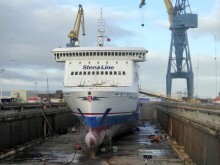 ​A fiver may not buy much these days but with leading ferry company Stena Line it can certainly take you far! The brand new Fiver Fever offer will allow you to travel across the Irish Sea for a fun-filled adventure in Britain but you’ll have to be quick as you only have four days to bag a bargain.